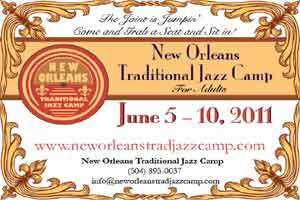 The New Orleans Traditional Jazz Camp was originated by Leslie Cooper, Banu Gibson, and Anita Hemeter. Their love for the music inspired the idea for a camp to be held in New Orleans, the birthplace of jazz. The camp project gained momentum when these three found they had the same passion to create such a camp. and trustworthy provider. Where do you start? How do you know that the price that you have is a fair price for your requirements? details of where he is playing, bands for hire, arrangements available for big bands, anecdotes, jazz workshop and sale items including CD's.Check this site out. problems: click on pic to web site. Jazz Band Central is the place to book great jazz bands or swing bands in Edinburgh, Scotland. Mondays between 7 - 9 pm, including studio and over the phone interviews. Welcome to Kentgigs.com. You are in good company. Around 500 unique visitors read 1900 pages a day here and find we are the top portal to Music in Kent with links to 1000's of music information resources in the region and other useful music sites. Kent and East Sussex Gig Guide is the leading supplier of Kent Gig Guide listings and Music news to the media, other websites and the music community. You will find current Kent music listings here first.